More property owners are shielding their identities through limited liability companies. In some cases, that anonymity enables money laundering, can mean that tenants struggle to hold landlords accountable and that cities fail to fix blight. When Sean Hannity, the popular Fox News host, was revealed last month to be a property owner and landlord of considerable scale, it highlighted how opaque the housing market has become. Owning real estate in limited liability companies, as The Guardian reported that Hannity does, is a perfectly legal and increasingly popular practice. But the whiff of secrecy — and the umbrage Hannity has taken after the secret got out — speaks to the growing role of LLCs in the nation’s housing market. LLCs shield property owners from personal liability while obscuring their identities. In some cases, so much anonymity also enables money laundering, and it can mean that tenants struggle to hold landlords accountable, that cities fail to fix blight and that researchers can’t answer basic questions about the housing market. As much as people may want to keep their financial dealings private, the housing market has long been an unusually transparent place. LLCs have eroded that expectation. There is little good national data tracking the rise of LLCs. But in 2015, according to the Rental Housing Finance Survey from the Census Bureau and the Department of Housing and Urban Development, about 15 percent of all rental properties were owned by LLCs, limited-liability partnerships or limited partnerships. That represented one-third of all rental units, and that can include single-family houses or apartment buildings. Put another way: 92 percent of rental properties in the United States back in 1991 were held by individual owners whose names tenants could easily know. By 2015, that number had fallen to 74 percent, driven largely by the growth of LLCs, although the market today includes other kinds of institutional investors as well. In the single-family market, which includes investors who built rental empires after the housing crash and others who’ve used empty properties to store wealth, about 9 percent of home sales last year were to LLCs, according to ATTOM Data Solutions, a real-estate data company. That’s twice the share a decade ago. The rent-to-own company Vision Property Management, for example, has bought homes across 24 states through nearly two dozen LLCs. In his own research, Immergluck tried to identify the largest buyers of foreclosed properties in the Atlanta area. But because one unidentified buyer could be behind many LLCs, it’s hard to know who is acquiring the most property, or which property owners are behind the most code violations or the most evictions. That makes it impossible for city officials to aim scarce resources at the most problematic owners. And it makes it hard for researchers to know, for example, if property has become concentrated among fewer owners. Because the stakes are so high and the spillovers significant, there has always been a public element to private property, said Susan Pace Hamill, a law professor at the University of Alabama who has written about LLCs since the 1980s. LLCs today hide what should be public information, she argues. LLCs are required to list a registered agent who can receive legal and government notifications, but they’re often not required to name the people who financially benefit from the investments. The downsides have become clear, at both high and low ends of the market. In expensive cities like New York and Miami, LLCs have helped foreign investors launder money through luxury condo purchases. In poorer cities like Memphis and Milwaukee, they have enabled investors to walk away from vacant properties and tax bills. For renters, or tenants mired in rent-to-own contracts, these entities mean they often don’t know who they’re dealing with — or who’s evicting them. These consequences worry even real-estate lawyers who advise their clients to use LLCs. In Memphis, parcel surveys of the city have revealed that a majority of the most blighted properties belong to LLCs. Many have effectively gone out of business without selling the homes, leaving their ownership in limbo. When the city has tried to hold some responsible, there is no one to contact — the duties of those listed as registered agents having expired along with the companies. “The liability protections we’re talking about are liability protections from external forces,” said Steve Barlow, a Memphis lawyer who directs Neighborhood Preservation, a group trying to fight blight there. LLCs are supposed to personally shield owners from, say, a tenant who breaks an ankle on the property. “It shouldn’t be a protection from you, yourself abandoning it,” he said. There should be a way, he and Hamill believe, to keep the liability and tax benefits of LLCs without all the secrecy. 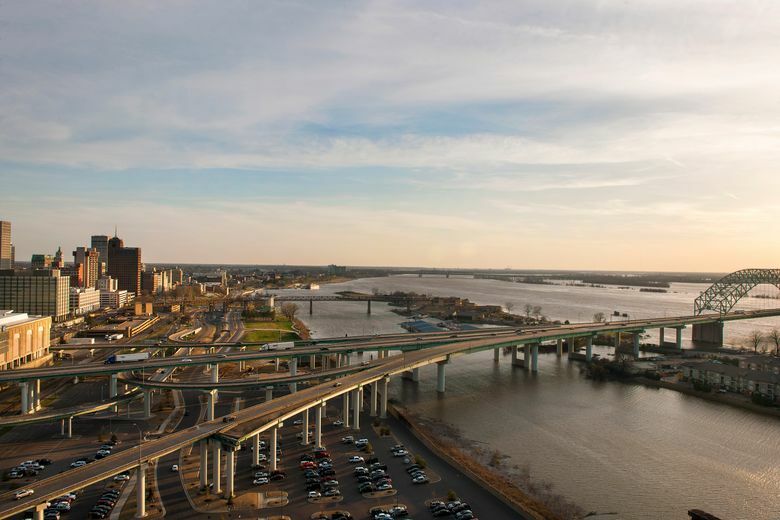 Unless or until there is, cities like Memphis are left with properties no one wants to buy and frustration from the public. But it is no easy thing to get a faceless company to court.